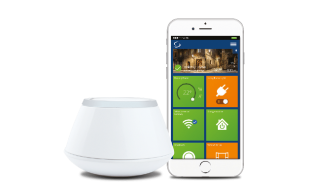 SALUS Controls manufacturer easy to install, simple to use, cost effective solutions for every application. 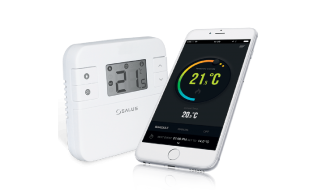 From Smart Home heating control systems, allowing you access from anywhere in the world using the SALUS app, to hardwired programmable solutions. We have products to suit every installation and budget. View our extensive range of products today, check out the latest industry news or download more information on our products. Want exclusive product development news and great deals? We just wanted to thank you and your colleagues for the help and excellent service you provided. The technical advisor identified and dealt with the issue straight away. That support is most valuable, especially in this day and age, when good and reliable service is at a premium. The RT520 is a fantastic little stat that’s packed with features, it looks smart and modern, it’s flexible for any installation being battery powered and RF, it’s load compensating and performs perfectly, I looked the data on an installation, and it kept the boiler in condensing mode and the room temperature was tight to the set point throughout the day, this new stat is a steel at a fraction of the price of other load comp stats on the market. Thoroughly impressed with the RT520, the screen is fantastic, and the settings button is a game changer. Apply for a credit account today and start buying SALUS! 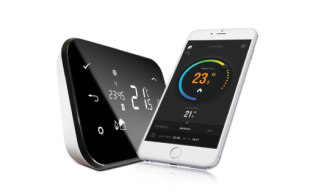 We also offer video guides on how to use your Smart Home heating control system, using wireless thermostats and more. Customer service support is also available.